A new regime in any football means a series of quick drastic changes and here at Manchester United , a revamp of the entire squad is the narrative. 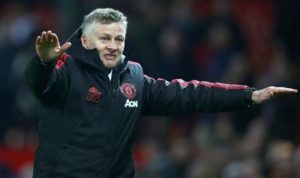 For the time being, stern changes will be made in the regular line-up by new manager Ole Gunnar Solskjaer as per merit and merit only. Previous articleIndian Football: FC Goa clinches the Super Cup, Mohun Bagan sign former player Katsumi Yusa, Borja Gomez Perez signs an extension with East Bengal, and much more!